Life history interview conducted by Tiah Edmunson-Morton. Location: BridgePort Brewing, Portland, Oregon. Jeff Edgerton (b. 1963) is a 1987 OSU graduate in Microbiology. 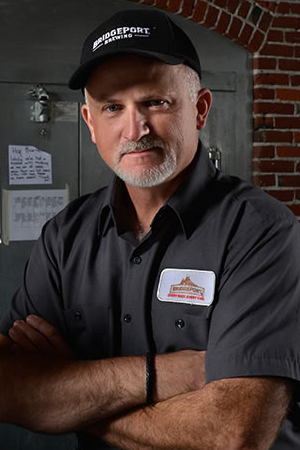 Over the three decades that have followed his graduation, Edgerton has held multiple positions in the brewing industry, beginning with laboratory work at Blitz-Weinhard, and moving on to a successful career at BridgePort, where today he holds the titles of Brewmaster and General Manager. In his interview, Edgerton shares his thoughts on the radical shifts in brewing culture that have taken place in the Portland area since the 1980s. He likewise comments on his own work as a scientist, brewer and administrator at two iconic companies that are central to Oregon's rich brewing history.